This project was a Feasibility Study for a private client for the design of a new contemporary house on a sensitive rural site in Surrey. This project required BWP Architects to produce a Feasibility Study for new Victorian style houses in Esher, Surrey for our client Zero 6 Developments. A new replacement dwelling of some 7,000sqft in the ‘Arts & Crafts’ style to complement the surrounding architecture of the 1920s Webb Estate in Purley. This project required BWP Architects to produce sketch design proposals for a new Leisure Club in and 450 lodges in the North of England. 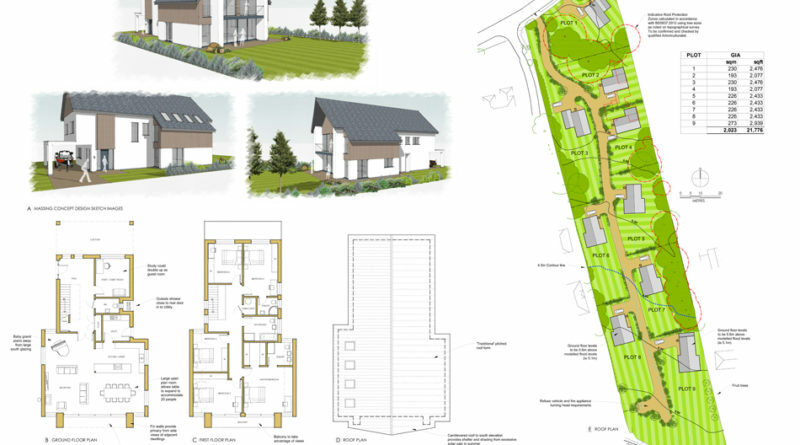 The development of a portion of land bordering a large village in East Sussex to provide an additional 75 houses based on current Urban Design ideas. A project for a design competition for bold and dramatic restaurant and boat house complex linked by a strong architectural feature in Chapel St Leonards. Feasibility study to examine the number and size of apartments possible for a new build scheme set within the grounds of a Listed Development in the centre of historic Plymouth.